Heated leather gloves that have PRIMALOFT insulation technology, guaranteeing insulation and impermeability, with 3 heat settings making sure that you stay warm for up to 10 hours. In order to perceive differences in temperature, there are several hundred thousand cold and heat receptors located in the human skin. However, the number of cold receptors clearly exceeds the number of heat receptors. For example, there are 15 times as many cold receptors on the back of the hand. This explains why above all the extremities are particularly sensitive to cold: Fingers freeze easily and as a result, every move hurts. Our Therm-ic Hand Warming systems know exactly how to protect you against stiff, frozen fingers. 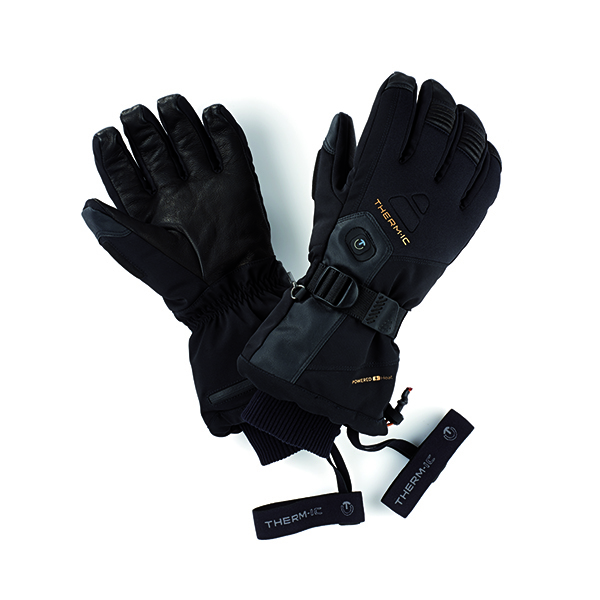 Thanks to their smart interior, Therm-ic PowerGloves constantly provide your hands, starting from the fingertips to the wrist, with warmth for up to 10 hours even in the freezing cold. The mobility of your fingers is not limited and your grip remains firm.